These 3 little girls are about to go to their new homes! Eisley will be staying close to the area, Harper will be going towards the Indianapolis area, and Kennedy will staying right where she is! She’s going to be the newest addition to The Bossy Bostons. These puppies have been so good and easy going. 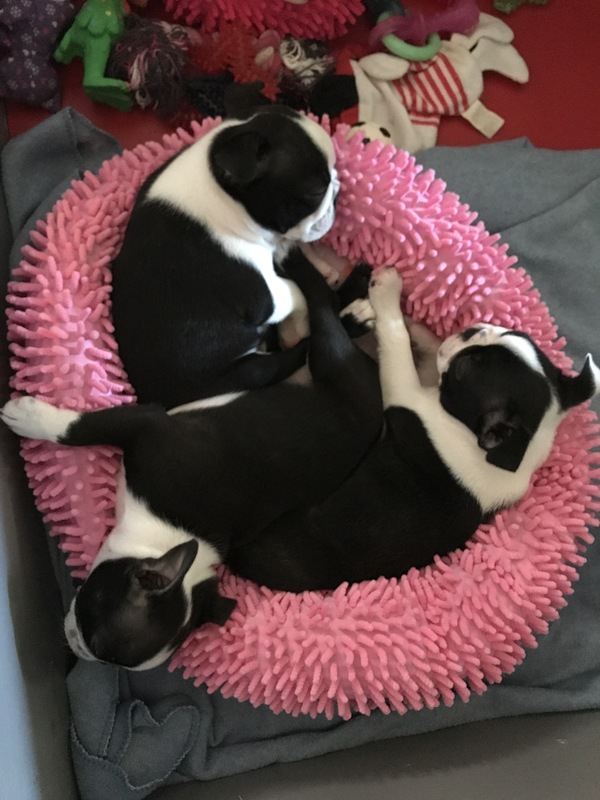 We are positive they will be great Bostons for their new families. It’s not often we have a whole litter stick around the Northeast Indiana area, but we think it’s pretty awesome! Happy Independence Day From the Bossy Bostons!